West Ottawa is home to many talented students. State honored musicians and D1 athletes walk the halls. But there is a group of students who are not complimented as often by the student body: members of the art department. Dozens of students spend countless hours pouring their hearts into their art. And they’re talented; occasionally they are recognised for their talent on a national level. If a West Ottawa athlete were honored nationally, everyone know about it. But no one seems to know that we have an All American artist. Meet senior Calin Firlit. She received numerous honors from the Scholastic Art & Writing Awards. “The three Gold Keys and the honorable mentions were for a regional competition, and I’m also a National Gold Medalist for Scholastic” Firlit said. Pieces that receive a Gold Key are automatically considered for a National Gold Medal. Recipients of a Gold Medal meet in early June at Carnegie Hall in New York. The Scholastic Art & Writing Awards have been honoring student artists and authors since 1923. Firlit spends hours pouring her heart and soul into her work. After all, art is her passion. Her piece “God Complex” (pictured below) received an honorable mention. 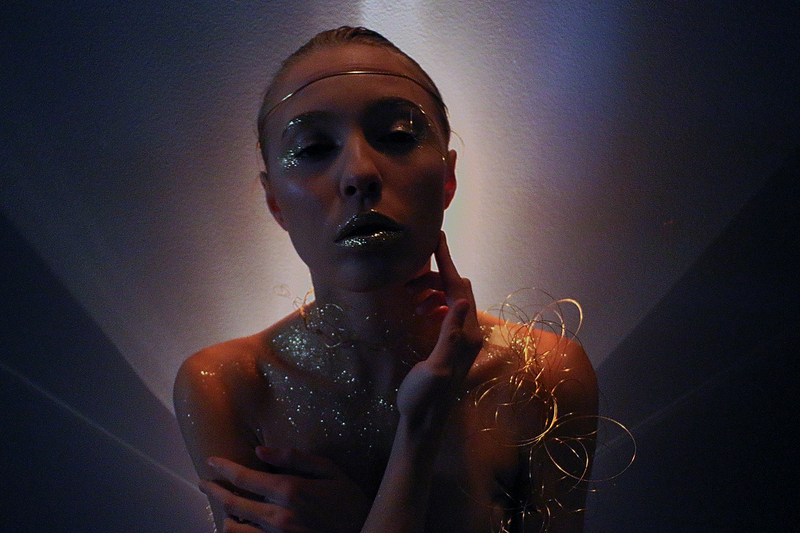 Firlit painstakingly prepared her ideal lighting to push her artistic vision into reality. “God Complex” took more time to set up than any of the other pieces she submitted. She draws inspiration from personal experiences and issues that arise in modern media: “I’ve been focusing on sexual harassment and sexual assault in my art as of late, and I’ve been trying to bring awareness to those issues through my art” Firlit said. She conveys her personal views through a media she believes is the most pure. Firlit’s piece being honored in June, “What Was She Wearing? Collection”, is a digital art piece she began crafting in early November for her International Baccalaureate Visual Art class taught by Nate Kukla. This piece of her portfolio was actually cobbled together at the last second: “It was kind of a last minute thing, I just needed to make a cover,” Firlit said. After only three hours of work, Firlit didn’t touch the “What Was She Wearing? Collection” again. She was content with her work. The judges for the Scholastic Art and Writing Awards were happy too. The panel of adjudicators who review submissions is made up of a number of famous artists and authors, many of whom are previous recipients of Gold Medals from the event. In her junior year, Firlit took Drawing and Painting taught by Instructor Brad Vredevoogd. Although Vredevoogd has not working with Firlit when she created her award winning pieces, he still knows her well as an artist: “She is a very creative and talented individual. She works slowly and methodically, and puts a ton of thought and effort into all of her artwork,” Vredevoogd said. “Calin has consistently impressed all of us in the Art Department with her effort, thought process, and sophistication.” With Firlit consistently utilizing her artistic talents, it’s no wonder she is being honored as an All American artist this summer.